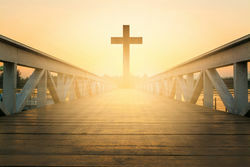 Home » Christian living » Is your house built on the rock of salvation? The Bible says in Matthew 7:24-27 those who build their house on the rock will stand whatever comes against them. Rain, floods, wind will not be able to tear that house down because it was built on the rock. If you build your house on sand the rains, floods, wind will cause that house to fall, and the fall will be great says the Bible. Is your house safe or have you built your house on sand? How can you even tell the difference? And what or who is the rock? If you were to ask anyone in mainstream Christianity about Matthew 7:24-27 they would tell you that those who believe and confess Jesus as their Lord and Savior have built their houses on the rock of salvation. These same people would also tell you the law of Moses has been done away with at the cross, and how it was impossible for us to obey it. We have to decide who we will believe, the Bible? Our pastor? Context is everything in the Bible, so when we read a verse like Matthew 7:24-27 we always have to make sure we know what the preceding text says. Matthew 7:24 starts with the word “Therefore” so it refers us back to what Yeshua just said in Matthew 7:21-23, so to understand Matthew 7:24-27 we first have to understand Matthew 7:21-23. In Matthew 7:21-23 Yeshua says Christians will one day die and expect to be welcomed home, but instead, they will hear Him say these words “depart from Me you workers of lawlessness for I never knew you”. The text in Matthew 7:21-23 tells us how these Christians confess Yeshua (Jesus Christ) as Lord and a lot of them have done great and mighty things in His name. Even so, He will tell them “depart from Me for I never knew you, your workers of lawlessness”. What is lawlessness, or more to the point, how do we avoid becoming a “worker of lawlessness”? Those who do not obey Him and His teachings are lawless and build their house on sand. So the way you can tell the difference is this, if you live your life as Yeshua lived His life, you have already build your house on the rock and whatever comes against you cannot make you fall. If you, on the other hand, do not obey Him and do not live your life the way He lived His life, you will fall, and the fall will be great when the storms come. (Matthew 7:24-27). Building your house on the rock is something you do when you choose to obey Him and His Torah. If we go to 1.John 2:6 we see this again when John the Apostle says only those who live their lives as He lived His life are one with Him. In Matthew 12:50 Yeshua says only those who do the will of My Father are My brothers, mothers, and sisters. By this, we know if we want to be a child of Yehovah, we have to believe in Yeshua and show our faith by obeying His teachings. What did He teach? He taught us how to properly obey the written law of Moses (the Torah). So we see how both 1.John 2:6, Matthew 12:50 says that if you want Yeshua to know who you are, and you want your house to be built on the rock, you have to do something. Passive faith is not enough; you have actually to do some works. In Matthew 7:21-23 Yeshua says “depart from Me for I never knew you, your workers of lawlessness.” This will help us understand what kind of works Yeshua is referring to in Matthew 7:24-27, Matthew 12:50. How does the Bible define lawlessness? 1.John 3:4 says everyone who breaks the Torah (the written law of Moses) sins and sin is lawlessness. Notice what 1.John 3:4 is not saying, it is not saying everyone who breaks the moral commandments in the Torah sins. It says everyone who breaks the Torah. So 1.John 3:4 says if you do not obey every last commandment in the Torah that applies to your gender living outside of Israel, without access to a temple, you are living in lawlessness. So when 1.John 2:6 says we have to live our lives the way He lived His life, this is what He is talking about. If we want to be one with Yeshua, and build our lives on the rock, we have to obey Torah. This is also what James 2:10-26 says when it talks about faith showing itself in works. If you believe Yeshua died for your sins, you will show your faith by obeying Torah. Have you built your house on the rock? If the answer is yes, you will make sure every day to love Torah and obey it. When you love Torah (the law of Moses) and make sure to obey it, you are loving Yeshua and obeying Him. (Matthew 12:50, 1. John 2:6) Today it is Friday, and the Shabbat will begin in a few hours from now when the sun sets. Torah says there is only one rule for the Shabbat and that is do not work for money and do not make others work for money. This means you have to do your groceries today. There are of course exceptions to this, if you need medical help, have a medical emergency you are allowed to break Torah. If you have a medical condition that makes something impossible to do during the week, and only possible to do during the weekend, you are allowed to break Torah. But if it can wait until tomorrow when the sun sets it has to wait. Have you built your house on the rock? If the answer is yes, you will keep Torah today by celebrating Shabbat.